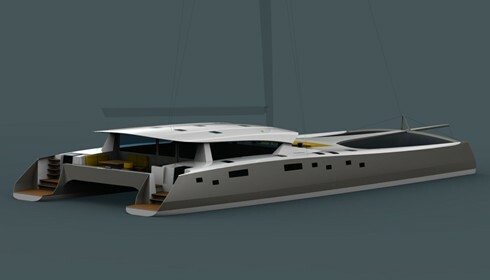 OCD have taken the requirements of yacht owners and professional skippers to develop this refined and stylish new multihull. It provides for the narrowest hull form able to support the payload and accommodation requirements for a vessel of this size. The performance hull design is complimented by a highly efficient wing mast, balanced by high aspect ratio dagger boards and rudders for supreme all-round performance. The yacht is driven from an internal helm station with an external working cockpit for all sailing manoeuvres. 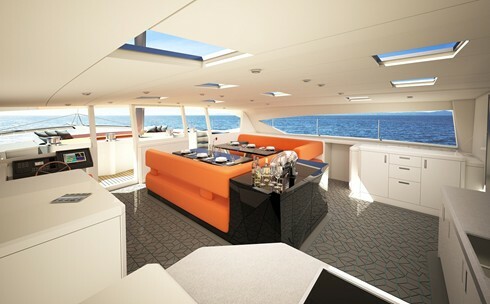 Comfort features include a large shaded aft covered cockpit for relaxing or dining and a forward dedicated open sun lounge area. 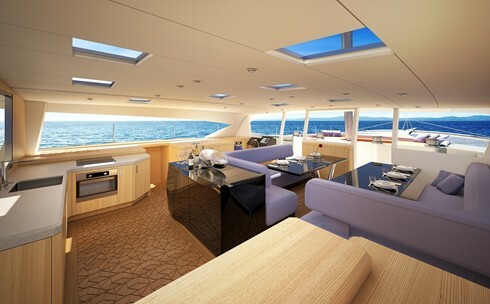 Accessing the expansive bridge deck accommodation from either cockpit area reveals saloon seating for 8-10, a fully featured galley and navigation watch station all on the same level with panoramic views.